The ideal of performance budgeting carries with it some noticeable flaws. For example, a budget of this type can be seen in the educational venue and the public schools where there is concern with standardized testing, and is a form of control in certain programs offered to districts by the federal government. In essence, this type performance standard can be useful in other programs but not school, because it puts some students at a disadvantage even more , and today, instead of actually teaching subjects students are subjugated to perform for tests, untaught testing for some and most fail. The companies that create the most important state and national exams also publish textbooks that contain many of the answers. Unfortunately, low-income school districts can’t afford to buy them. (Broussard, 2014).So if the answers for the text are in the books and a particular the district cannot afford the book then why are children taking a text on something they have no way of learning? It is fair to say that public means federal government so that the propensity for the government knowingly withholding funds in areas where there is lack is unconstitutional. This may be a tad off topic, but how can performance based assessments be tied to funding? Does it make sense for a public education system to do that? Notably, are these low performing schools even included in the budget planning on federal or state level? Of course the government should utilize and maintain performance budgets for agencies they support. However, the question to ask is if the agency supported is keeping in line with their supposed mission concerning (a) their various boards, (b) their workers, in this instance, their faculty, and (c) their students. Increase the accountability of Federal education programs to the President, the Congress, and the public (U.S. Department of Education, 2015). Performance budgeting does not evaluate wholly what is being taught in the subject matter but to testing. In other words, ask is the testing necessary to pass the class?For example, it is not difficult to see that if a bus is in need of repair then why would you continually allow people to board the bus? No, the bus would be taken off the street until the necessary repairs are made, or it would be replaced altogether. Or, why continue to allow people to board buses in disrepair on one part of the city while on another side of the city the best buses are offered and used? See then if the budget is allocated for public transit then the public is all inclusive not based on the performance of the buses but solely based on the needs of the people. See then that the scenario for the performance budget and school fits as well and reflects bias because the students are the passengers and the system in need of repair. Do standardized achievement tests unfairly advantage white and Asian students and disadvantage the rest? According to a group of educational organizations and civil rights groups the answer is yes. 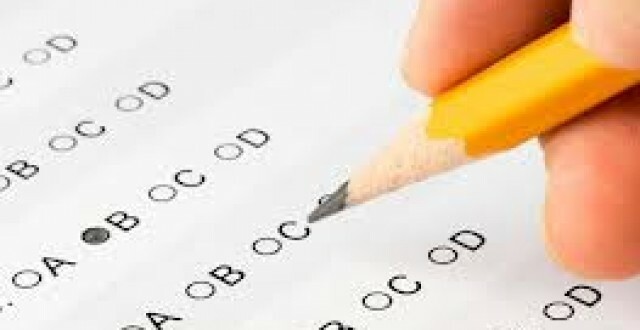 The recently filed a complaint with the U.S. Department of Education pointing out that black and Latino students in New York score below whites and Asians on standardized tests so consistently that although they are almost 70% of the overall student body, they are only 11% of students enrolled at elite public schools. As a result, the complaint argues that New York City is in violation of the 1964 Civil Rights Act because schools rely on a test that advantages one racial group over another. (TIME, 2012). In this way, yes performance budgeting might be needed, however, not this way. Evaluate the teachers, but not because of their ability to teach a test that they do not have answers to and most certainly do not punish the students for not learning what they have not been taught. This entry was posted in Business, Government, Journalism, Political, Profile/Feature Story, Work, Workforce and tagged Education, Federal education programs, federal government, performance budgeting, public schools, U.S. Department of Education. Bookmark the permalink. ← Your Sunday Bread: More Than Conquerors –not Conquered!